Tired of Struggling and Ready to Turn Things Around? I’m tired of struggling. It feels like life is always so difficult. How do I turn things around? I’m ready to do something different. I don’t want to be rich. Just comfortable. Thanks for writing in. It’s always great to hear from our readers. We provide quality, free, actionable content. That’s because we want readers like you to become more knowledgeable and empowered. With greater knowledge and power comes wealth and options. I’m sorry to hear that you’ve been struggling. But we’ve all been there. I don’t know of anyone who’s never felt like this. You’re not alone. I commend you for taking it upon yourself to make changes. Likewise, nobody will care more about your money than you. 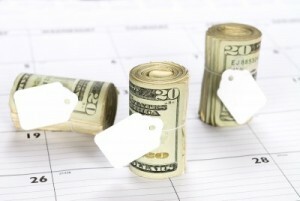 The first big change you’ll probably have to make is in regard to how much you spend. There’s an old saying. It goes like this: you can’t invest what you don’t have. 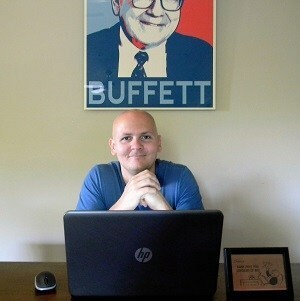 Even Warren Buffett couldn’t have made billions of dollars if he didn’t have access to capital. 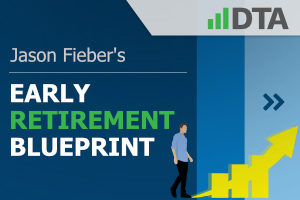 As such, I recommend reading through my free Early Retirement Blueprint. This is a step-by-step guide that almost anyone can follow to greater wealth and an early retirement. I used the steps described in the Blueprint to go from below broke at 27 years old to financially independent and retired early at just 33. And I did all of that on a middle-class income. Now, there are some pretty extreme lifestyle choices that I chose to follow in order to get here. You’ll read about them in the Blueprint. You need to decide for yourself which is the bigger sacrifice: living below your means or working until you’re old and used up. In my opinion, the choice is very, very easy. The basics in life – accommodation, food, transportation, etc. – can be had quite easily and cheaply in a place like the United States. There’s massive abundance. One doesn’t need a mansion to shield them from the elements. A luxury sedan isn’t necessary in order to get you from one place to another. So figure out what you actually need, minimize those big expenses, and then get busy investing. Once you’ve got the expenses under control, it’s time to put your capital to work. Money in the bank will do you no good over the long run. Interest rates are pitiful. Inflation will eat that capital alive, making it actually worth less over time. Money is a machine. It can work 24/7, 365. It requires no sleep, rest, or food. 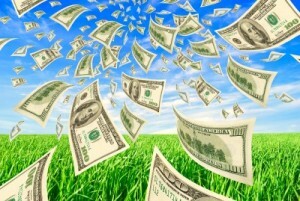 Intelligently putting money to work for the long term is a must for growing wealth. There are a million different ways to invest money. There are also a lot of ways to go broke. That’s why it’s important to be an intelligent investor. One of the absolute best ways to go about this, in my experience, is using the dividend growth investing strategy. It’s a long-term strategy that is almost foolproof. This strategy entails investing in world-class businesses that are paying their shareholders growing cash dividend payments. You buy shares when they’re cheap. Hold them for the long term. 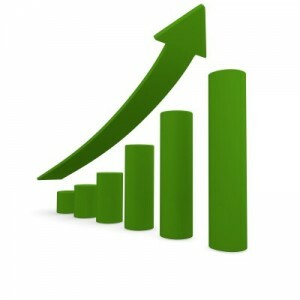 Reinvest growing dividends. Then you sit back and watch your wealth and passive income grow. It’s so simple yet so beautiful. Check out the Dividend Champions, Contenders, and Challengers list to see what I mean. That list contains information on more than 800 US-listed stocks that have raised their dividends each year for at least the last five consecutive years. There are numerous blue-chip stocks on that list. After all, it takes a special kind of business to afford being able to pay shareholders growing cash dividends year in and year out. Of course, I’m not just an advocate of this strategy. I’ve personally used dividend growth investing to position myself as a young man who’s independently wealthy, free, and very happy in life. 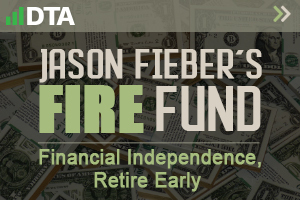 I built the FIRE Fund – my real-life and real-money dividend growth stock portfolio – by investing in high-quality dividend growth stocks at appealing valuations and holding for the long term. It generates the five-figure and growing passive dividend income I need to pay for my essential expenses in life. I know you said you don’t want to be rich. But putting yourself in a much better financial position is all part of this. That’s along the path to eventual riches. Being more flexible by covering a good chunk of your expenses with passive dividend income would still be a wonderful thing. It’s not necessarily about becoming rich. It’s about becoming more independent and happy. Becoming rich happens more or less as an eventuality when you straighten out your finances and make good choices. I mentioned knowledge and empowerment earlier on. I’ve shared some important information here, but this is just a primer. 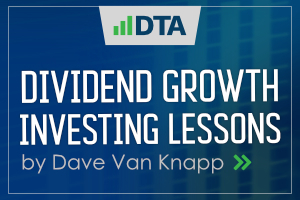 Fellow contributor Dave Van Knapp penned a great series of articles that are designed to teach the entire dividend growth investing strategy from start to finish. 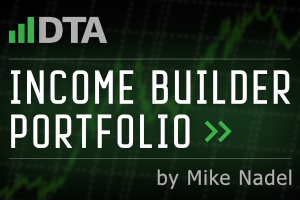 Make sure to read his Dividend Growth Investing Lessons for more on that. Once you feel comfortable to invest capital, I highlight a compelling long-term dividend growth stock investment idea every Sunday. These ideas are vetted based on quality and valuation, and they even include valuation opinions from professional equity analysts. 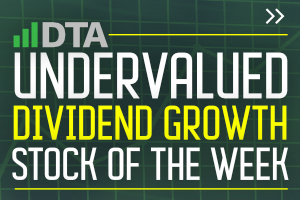 I share these long-term opportunities for free via the Undervalued Dividend Growth Stock of the Week series. These are some of our very best resources, Amanda. 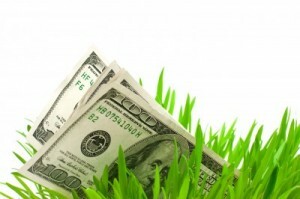 However, it’s ultimately up to you to take action when it comes to your money.